Ben Ortiz, an archivist from the Cornell Hip-Hop Collection, will DJ on Claiming Williams Day. Photo courtesy of Ben Ortiz. Winter Study is coming to a close, and spring semester is rapidly approaching, with only one week until the grind revamps. On Thursday, Jan. 31, classes are suspended for Claiming Williams Day, a day of discussion, lectures and departmental programming. Claiming Williams was established in 2009 in the wake of racist and sexist incidents that occurred on campus the previous year. True to its founding principles, this year’s schedule contains a diverse range of programming, including a Classic Hip-Hop Lounge Party in Goodrich Hall from 9 p.m.-12 a.m. on Thursday. The party will be DJ’ed by Ben Ortiz, assistant curator of Cornell’s Hip-Hop Collection. In his position at Cornell, Ortiz works to break the Eurocentric history and traditional nature often associated with archival work. Ortiz will spin Hip-Hop tracks across all eras, following a presentation on his work earlier in the day. This new addition to Claiming Williams Day was initially spearheaded by Sawyer Library Special Collections. Jessika Drmacich, records manager and digital resources archivist for Special Collections, began discussing and planning the event last year. As with any Claiming Williams event, the Classic Hip-Hop Lounge required the collaboration and support from many departments, organizations and individuals on campus. Drmacich received encouragement from Professor of Africana Studies Rhon Manigault-Bryant, who teaches courses on blackness in media. Africana Studies Professor James Manigault-Bryant and Assistant Professor of Africana Studies VaNatta Ford turned to the BSU, WCFM, the Davis Center and the music department for additional support. They consulted Veronica Bosley from the Office of Commencement and Academic Events for logistics. Drmacich said that Ortiz had been on Special Collections’ radar for quite some time as a pick for this event, citing the influence of his work at Cornell on Special Collections’ archival process. Ortiz’s intersectional approach to archiving encompasses race, sexuality and gender. It explores socioeconomic, religious and political identities that archivists have only recently begun to address in academic special collections. Ortiz and Drmacich work to critique and alter the typical scholarly nature of academic archives, which replicate power dynamics across history. In addition to that, hip-hop’s relationship to social justice, accessibility and inclusivity further solidifies its relevance to the mission of Claiming Williams. Hip-hop has the ability to bring people together across different identities and to create an atmosphere conducive to understanding. A lounge environment, in particular, promotes listening, dancing and singing, which creates a powerful connect among different groups of people. 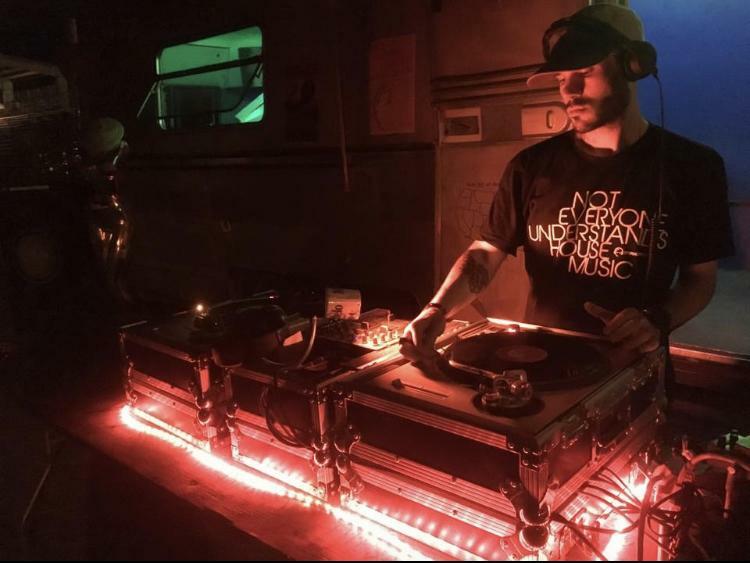 On Jan. 31, the Classic Hip-Hop Lounge Party will be accompanied by a 3:45 p.m. presentation by Ortiz titled “Diversifying the Record” in Schapiro 129. Ortiz will discuss how special collections can reflect the growing diversity within colleges and American society with reference to his preservation of Afrika Bambaataa, Grandmaster Caz, Bill Adler, Charlie Ahearn, Joe Conzo and other pioneering hip-hop artists’ materials. His work at the Cornell Hip-Hop Collection includes graffiti, mixtapes, posters, flyers and other materials that are not typically associated with academic special collections. “Ben’s visit will hopefully create discourse on what is considered scholarly and part of the academe,” said Drmacich. Claiming Williams will be a day of discourse, learning and – hopefully – growth and understanding among Williams students. Thursday night’s Classic Hip-Hop Lounge at Goodrich will give students a chance to debrief and connect through the power of hip-hop music, dance and listening.